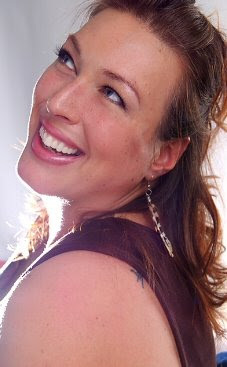 Rene Couret is a plus-size model, actress, entrepreneur and student, currently residing in Southern California. She is studying Musical Theatre and American Sign Language. In her spare time, Rene runs several websites including a CDH birthing options activism site. She also loves giving advice on vegetarian healing diets, whole food nutrition, and self-image issues. Rene has appeared in the movie “Phat Girlz”, appeared in many stage productions and is very involved in Hollywood’s “Love Your Body Day”. Rene’s son ,Gregory Zion Couret ,was born August 3, 2004 with a Morgagni (or right-sided) Congenital Diaphragmatic Hernia. When Gregory died at six months of age, it was a bittersweet experience. Rene felt it was her greatest source of pain but he was also her greatest source of inspiration. When Gregory was born he was rushed right away to the NICU. He had a right-sided hernia, which causes more trouble due to the liver piercing into the right lung and pushing over the heart. He was only breathing about 30% on his own and he needed the assistance of a Ventilator in order to keep him alive. He was placed on ECMO for one week and had emergency surgery to fix his diaphragm after a small brain bleed. He had six surgeries and was taken off and on breathing support more than ten times. In the end his lungs just could not handle anymore and his heart gave up on him. My son was supposed to come home right around Thanksgiving in 2004, but he got an infection and had to heal all over again. My family and I prayed hard, stayed up nights visiting him, and had as much faith as we possibly could. He went through ups and downs and fought his best, but by the time he was six months old he passed away. After my Gregory passed away, I felt as if something was wrong with me and I thought I did something wrong. Maybe I could have done more, or maybe it was karma sneaking up to bite me. I went through many ups and downs in my mind before I could just accept what happened and move on. It is still a process and two years later I have days when the thoughts cripple me and there are times where I feel that it never even happened. Wendy is a celebrity local to the Raleigh – Durham, NC area. I personally met Wendy a few years ago at Duke Gardens and subsequently helped to photograph her wedding (I was a photography assistant at the time). Last year we were looking for volunteers for our Angel Ball and Wendy responded to our ad. She not only volunteered for our Angel Ball but our Golf Tournament as well and is now a celebrity spokesperson for CHERUBS! And if that wasn’t wonderful enough, Wendy, who is also Mrs. Durham County, NC is now using CDH as her pageant platform! We can say we met Wendy at the very beginning of our celebrity career on her way to the top – and on the way to the top Wendy is definitely going! Some of Wendy’s career achievements so far; Film appearances in “Racing Dreams”; “Absence With Pictures” and “April Fools Day”. She was in Chris Daughtry’s music video “Home”. She has appeared on television on the shows “One Tree Hill”, “Paris Hilton’s BFF” and “Whittaker Bay”. She’s also done quite a bit of local commercials and promotions including playing Diamond Barbie. She is currently on the Nascar circuit as an Ask.com spokesperson. She is Mrs. Capitol City 2008 and Mrs. Durham County 2008 and has represented North Carolina and local towns in the Mrs. NC America 2007, Mrs. North Carolina America 2007, Mrs. Granville County 2007 pageants and was a Miss Hawaiian Tropic Final.. With a huge heart, Wendy is very active with many local charities, including Duke’s Children’s Classic.. Wendy will be at our 2009 Angel Ball! After struggling since 1995 to bring more awareness to Congenital Diaphragmatic Hernia, a birth defect that affects 1600 babies each year in the U.S., CHERUBS announces their first celebrity spokesperson, actress Patsy Pease. Raleigh, NC – CHERUBS, a non-profit organization founded to not only help parents of children born with CDH, but to lead the medical community in finding the cause and prevention of this devastating birth defect, is working hard to raise Congenital Diaphragmatic Hernia Awareness. Founded in 1995 by Dawn Torrence, CHERUBS is the world’s largest CDH organization with over 2600 members in 38 different countries and all 50 states. 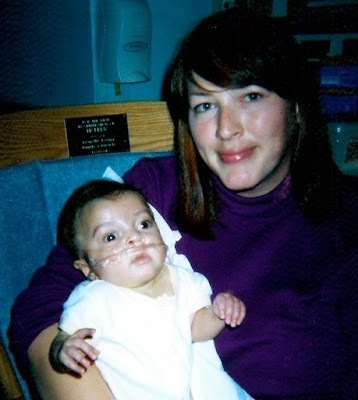 Dawn is the mother of Shane Torrence (1/28/93-9/11/99), born with left-sided CDH and multiple birth defects. Immediately after Shane’s birth, Dawn searched for a support group, but there were none available. After spending hundreds of hours in the hospital’s medical library researching CDH and finding support only from parents she met at the hospital, Dawn felt a great need for a CDH support group. CHERUBS serves the CDH community without charging parents or medical care providers for it’s services. It receives no grant funding and has no paid employees. Fundraisers help to provide the services that CHERUBS offers, often on a shoe-string budget. Many charities are struggling during this economy and it is especially hard for smaller charities without marketing budgets to compete for media attention to awareness and for research funds. CHERUBS was thrilled when Ms. Pease agreed to become a spokesperson for a cause dear to her heart as well. “Whatever I can do to help will be my pleasure” Pease said. Eventration of the Diaphragm is a form of CDH that occurs when the weakened muscle of the diaphragm allows organs from the abdominal cavity to move into the chest cavity; but unlike more common types of CDH, the diaphragm remains intact. Arthrogryposis is a rare congenital disorder that is characterized by multiple joint contractures and sometimes includes muscle weakness and fibrosis. CDH affects 1 in every 2500 babies, representing approximately 1600 babies in the United States each year, half of which do not survive. Some of the other half, like Torrence’s son, who only lived until the age of 6, end up suffering through life with lasting health problems such as feeding aversions, gastrointestinal problems, asthma, allergies, scoliosis, or long-term pulmonary problems. CDH has affected over a half million babies around the world since 2000. There are more children born each year with CDH than there are children born with Cystic Fibrosis, and although there is no known cure or typical treatment, there is still a significant lack of research and awareness in the public and medical communities about CDH. “There is still so much research that needs to be done,” said Torrence. “CHERUBS wants to be able to help as many families as possible, because we understand the hurt and confusion that comes along with having a child with CDH. We want to spare other families from the devastating effects of CDH so that more babies are lost to this birth defect. In 2009 this birth defect should not still exist, much less still have so many unanswered questions and so little research. We will keep fighting, keep researching and keep raising awareness until the cause and prevention of CDH is found. 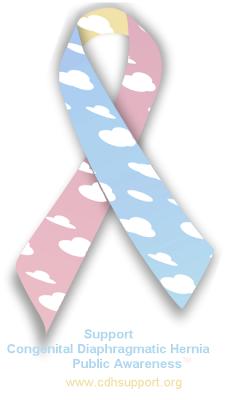 We work toward saving babies in the future and honoring those we have already lost. We plan to work on several projects this year including an educational video on Congenital Diaphragmatic Hernia that will be free to families and hospitals. We also just published a book of stories of these children and are in the midst of planning many events, including our CHERUBS Angel Ball in Durham in October and our 2009 International CDH Conference in San Antonio in July. We are always so busy at CHERUBS and try so hard to bring more attention to this birth defect. Having Patsy on board is such a Godsend. I look forward to working with her to help raise more awareness so that we can bring more research to CDH and more information and support to these families”. CHERUBS is an international charity located in North Carolina founded in 1995. CHERUBS serves families of children and adults born with Congenital Diaphragmatic Hernia (CDH). As of January 2009, CHERUBS has over 2600 members in all 50 states and 38 countries. Board Members include the founding father of in-utero surgery, genetic counselors, epidemiologists, pediatric surgeons and parents of children born with CDH. CHERUBS is a volunteer-run organization and a United States Internal Revenue Service recognized 501(c)3 Non-Profit Organization. Patsy Pease is best known for playing the character of Kimberly Brady Donovan on “Days of Our Lives” from 1990 to 2008. She is one half of the soap’s supercouple of Kim and Shane (played by Charles Shaunnessy). She has also appeared in “Two Shades of Blue” (1999), “Total Reality” (1997), “The Young and the Restless” (1996), “Hardball” (1994), “Silk Stalkings” (1992), “Space Raisers” (1983), “Remington Steele” (1983), “Trapper John, M.D.” (1983), “Search for Tomorrow” (1979-1982). Ms. Pease has won several Soap Opera Digest Awards. She is a strong advocate for raising awareness of child abuse, giving lectures and speeches on her own personal experiences. She has semi-retired to raise her children and to continue her charity work. *Special thanks to Rachel Wells at 919 Marketing for writing much of this press release. CHERUBS has a new celebrity spokesperson who is also a CDH mom.